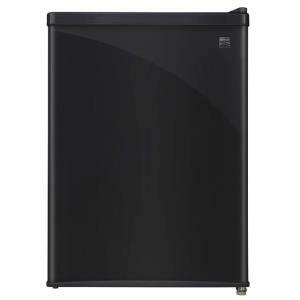 The compact refrigerator with 2.4 cu. ft. of usable space, is ideal for dorm rooms, basement bars, guest rooms, workspaces and anywhere you want to keep things conveniently cool. 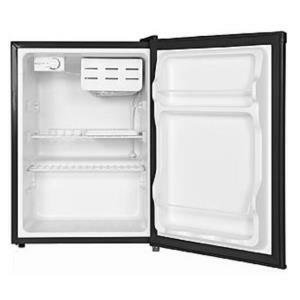 This compact refrigerator has 2 full-width shelves and 2 door storage shelves, along with a separate chiller compartment for frozen foods. The reversible door lets you change the hinge from right to left, and the two adjustable legs help you level the refrigerator. 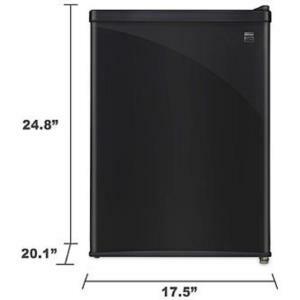 * Please call us with any questions you may have about our compact refrigerator in the San Francisco Bay Area.